Go on this half-day guided airboat tour of Florida Everglades from Miami. This is the best chance to enjoy Miami’s treasured ecosystem. You will also get to experience a Wildlife Nature show. Hotel pickup and drop-off is included. This Everglades Tour with transportation gives you the best chance to enjoy Miami's treasured ecosystem, the Florida Everglades. The package includes transportation to the Everglades, an amazing airboat ride, and a wildlife nature show. A 32-passenger to 43-passenger bus will pick you up from your hotel and take you to the Florida Everglades. From there, you will board one of our Everglades Safari Park airboats and journey into the 1.2 million-acre park, which is primarily composed of grasslands and hardwood hammocks. A professional tour guide will narrate your thrilling airboat ride as you glide through the aptly-nicknamed "River of Grass." Your tour guide will lead you through this natural wonder where you will encounter breathtaking panoramic views, lush vegetation, and tranquility. You will be amidst alligators, native flora and fauna, as well as other wildlife including raccoons, whitetail deer, and wild boars in their natural habitat. 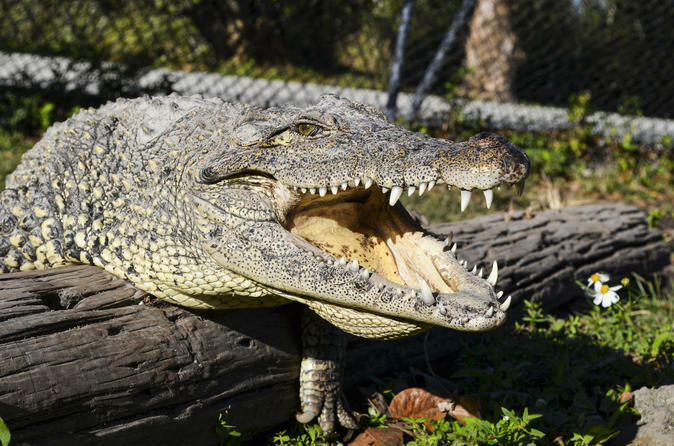 The Alligator Wildlife Nature Show will allow you to discover alligators, crocodiles, and other wild creatures. Learn about the conservation and preservation of one of the world's most delicate and vital ecological systems and its inhabitants. Beverages and light snacks are available for purchase at the Everglades Ranch.